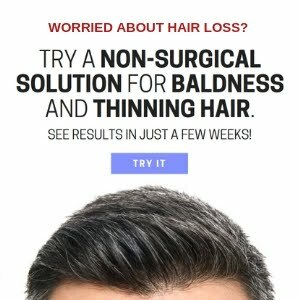 Regrowz: Genuine or Hair Loss Scam? Regrowz is the latest hair product to hit the market, but this brand makes the biggest promise of them all. 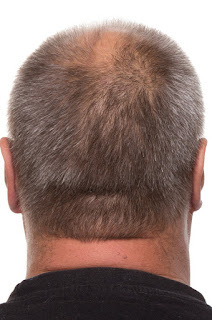 It claims to clinically regrow baldness in men, and what's more, this company claims to have a 100 per cent success rate. So, we ask, is Regrowz genuine, or is this treatment just another wannabe big shot making outrageous claims? It seems Regrowz is determined to make an impact on the hair loss market, but how much of this new brand can we really trust? 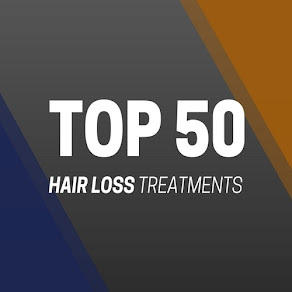 Hair loss affects over seven million men in the UK alone, and the overall global hair loss treatment market is estimated to exceed £1.5 billion. So, as you can imagine, even a small slice of this cake can prove to be hugely lucrative. 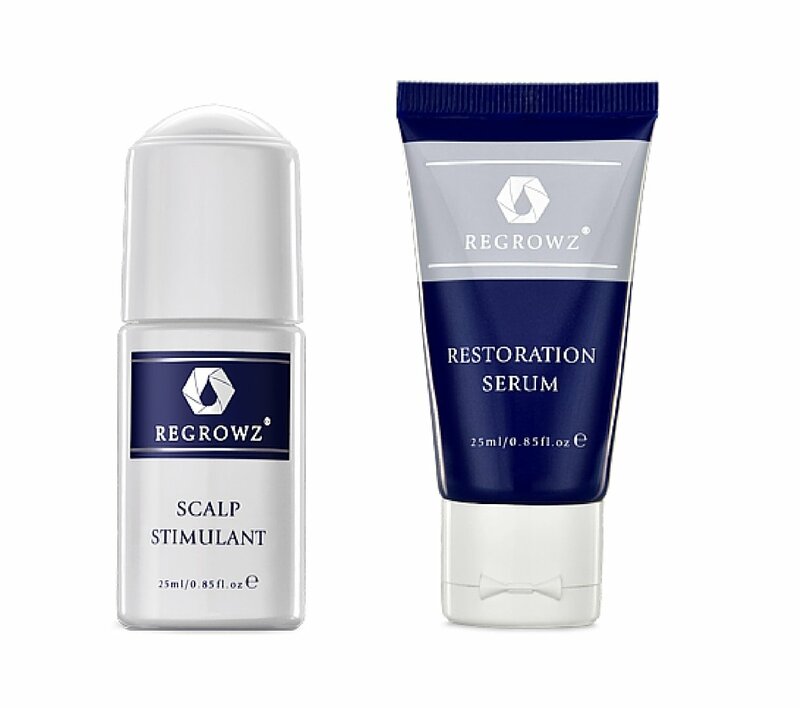 Regrowz consists of two products, of which they claim, work in conjunction with each other to stop hair loss and grow new hair over a three month period. The first product in this double defence system is the Scalp Stimulant, in the form similar to a roll-on deodorant, which is meant to open up the pores in preparation for the application of their second product - the Restoration Serum. With it's long list of ingredients, they claim that the Restoration Serum helps regrow hair where previously lost. 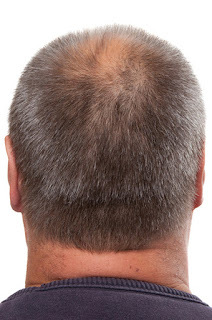 Is Regrowz a cure for hair loss? This is where these products fall short - the claims. Most genuinely decent hair health products on the market will always remain realistic about their claims. To claim something can benefit your hair is absolutely fine, but one enters a very grey area when making claims of having a 100 per cent success rate. If a product or treatment is producing a 100 per cent success rate, then it should be classified as a genuine cure for hair loss. Regrowz does not have a 100 per cent success rate, regardless of what they might think. So, to market themselves as a cure for hair loss would surely go against Trading Standards. So, how effective is Regrowz? Being new to the market, it is hard to identify how effective Regrowz has been for its male users. But judging by the ingredients used and by the case studies shown on their website, none of us should really feel the need to get excited about these products. Below you will see a couple of images - one before shot and one after shot of a male user of Regrowz over a three month treatment period. As you will probably notice, the results are not overly evident. In fact, by looking at this before and after shot, it's hard to see if there are any visible signs of hair growth at all. From looking at these images, do they convince you that Regrowz is an effective hair regrowth product? If you are set on trying Regrowz, then expect to spend around £200 for your three month supply. The good news is, they offer a money back guarantee, but only if you can prove you have been on the treatment for a minimum of three months, with photographic evidence to back your claim. So, Regrowz is one big fat scam, right? 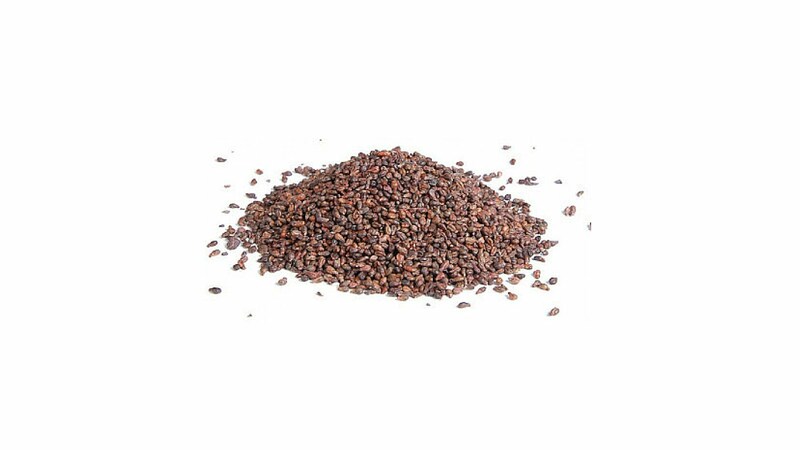 It would be unfair to label this product as a 'scam', because it does actually contain good ingredients that can benefit hair. The thing is, when you make outrageous claims, as a brand, you are kind of shooting yourself in the foot. 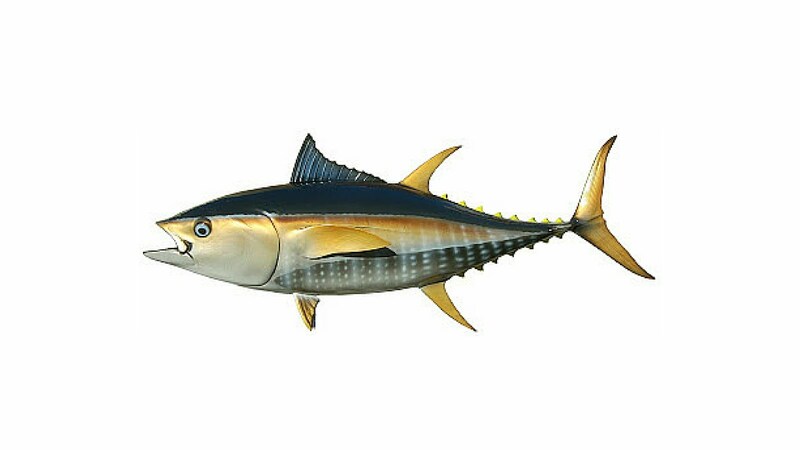 To promise your customers a 100 per cent success rate can be seen as absolutely ludicrous, because without FDA approval, you simply have no right to do so - It goes against advertising laws and regulations. How does is compare to other hair growth products? 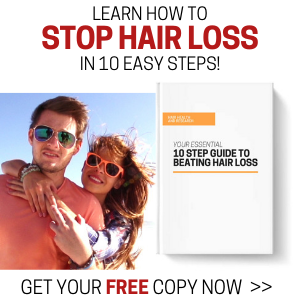 The only FDA approved topical solution that can make claims of hair regrowth in their marketing is Minoxidil. Therefore you cannot compare Regrowz to a product containing minoxidil such as Regaine, because one is FDA approved and the other is not. Regrowz is no different to hundreds of other topical hair loss treatments on the market, but the only difference is, they make much bigger claims then most of their competitors. Where hair loss is concerned, you should always look out for two clear signs that a product will, in all likeliness, be ineffective. Firstly, the claims: If a product or treatment makes absurd claims that resemble an actual cure for hair loss, then it is unlikely to work. Secondly, and this is just an opinion, if a product or brand's name contains the word 'grow' or 'growth' or 'regrowth' then it's likely to be something close to a scam. 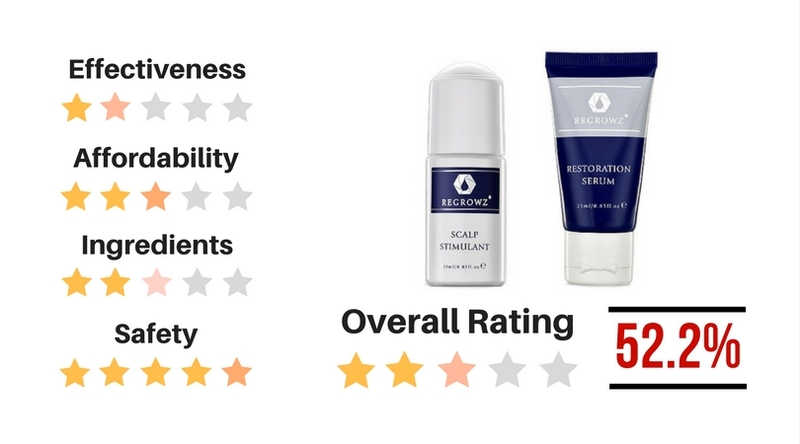 We believe in giving brands and products a fair trial, regardless of our initial opinions, but if you are actively looking for ways to regrow your hair, we'd probably recommend that you steer clear of Regrowz, because in all likeliness, you'll not get the results you want.